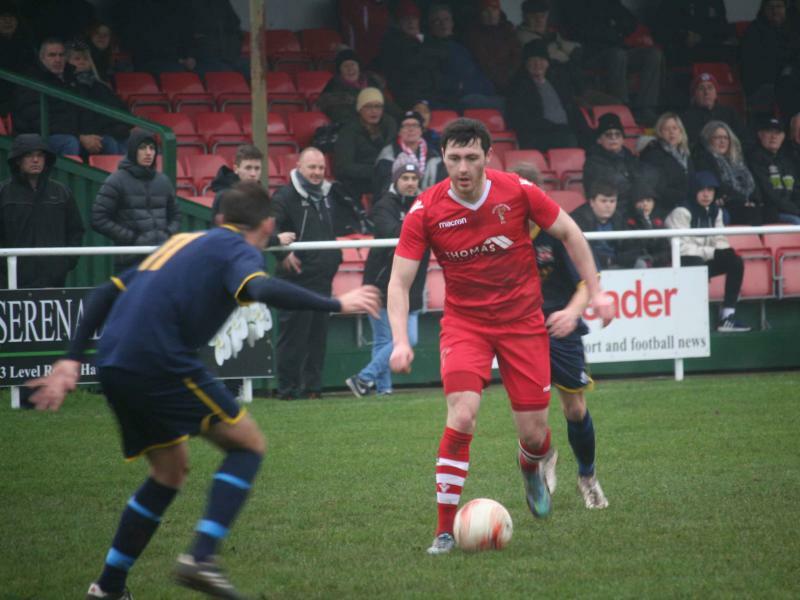 First double of the season as Buckley Town take all the points against ten man Prestatyn Town. 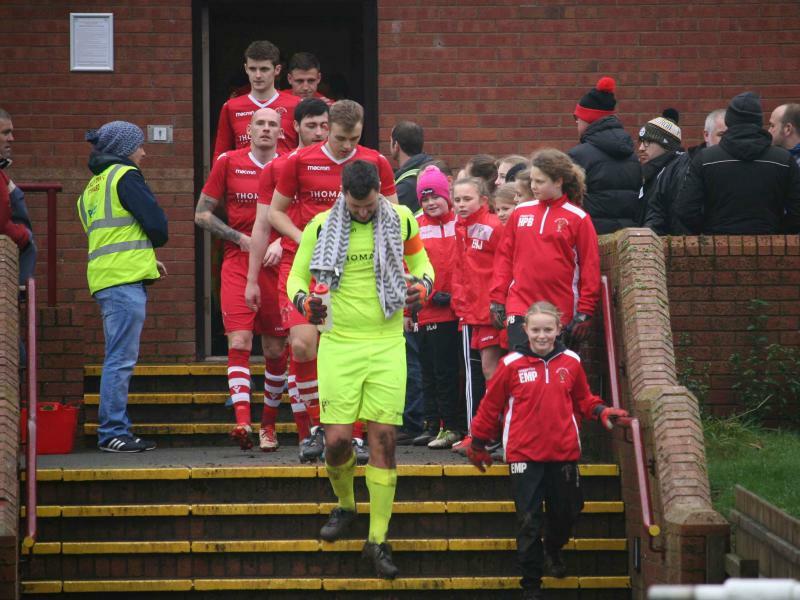 Another entertaining game at the Globe saw Buckley Town come out on top for the second time this season over opponents Prestatyn Town with a 3-2 victory. Prestatyn took the lead in the game, against the run of play, as Buckley had the best of the opening exchanges without really looking like creating anything clear cut. 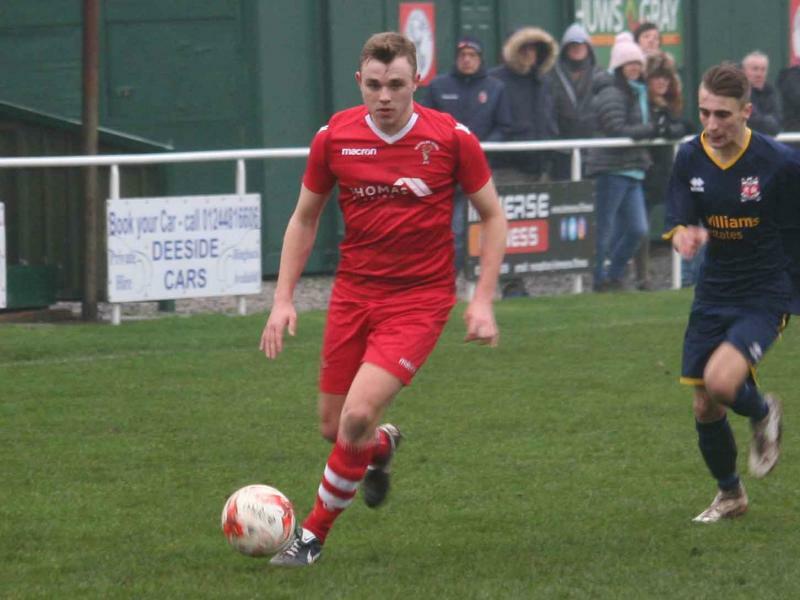 Prestatyn always looked dangerous and able to use the pace of their forwards to try and get in behind Buckley’s restructured defence. The opening goal came when Buckley keeper Joe Makaruk came out to block and make a save only for the ball to cannon off Oliver Buckley and into the back of the net. Aled Bellis soon had the sides level though when he picked the ball up out wide on the left and cut across the box to fire in a shot that took a deflection along the way giving the keeper no chance. 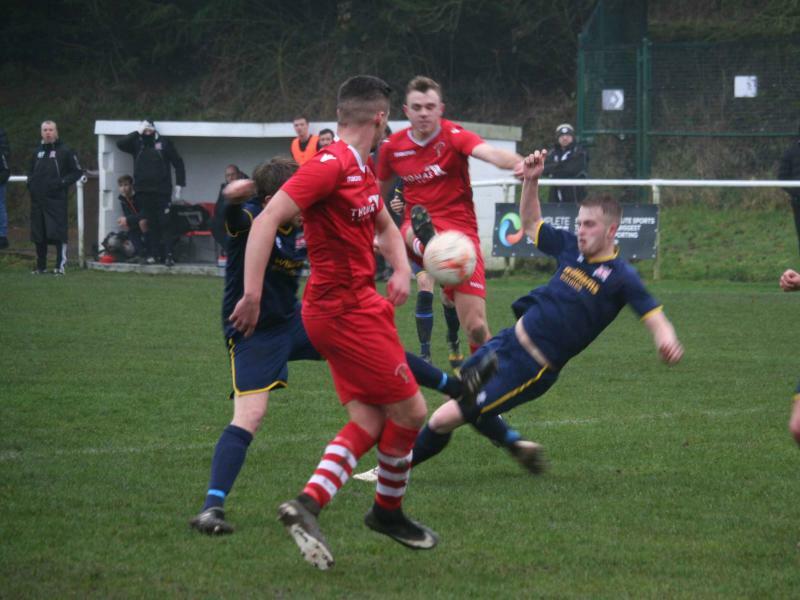 Prestayn’s Dan Roberts then scored a second goal from yet another corner, something we do seem to be conceding from too often this season. Prestatyn then found themselves down to ten men following a disputed ball going out for a throw in. Casey Faulkner tried to prevent Callum Humphries from retrieving the ball and the usual hand bags ensued. Having been pushed away from the ball he kicked out in retaliation right in front of the referee who had no hesitation in issuing a straight red. 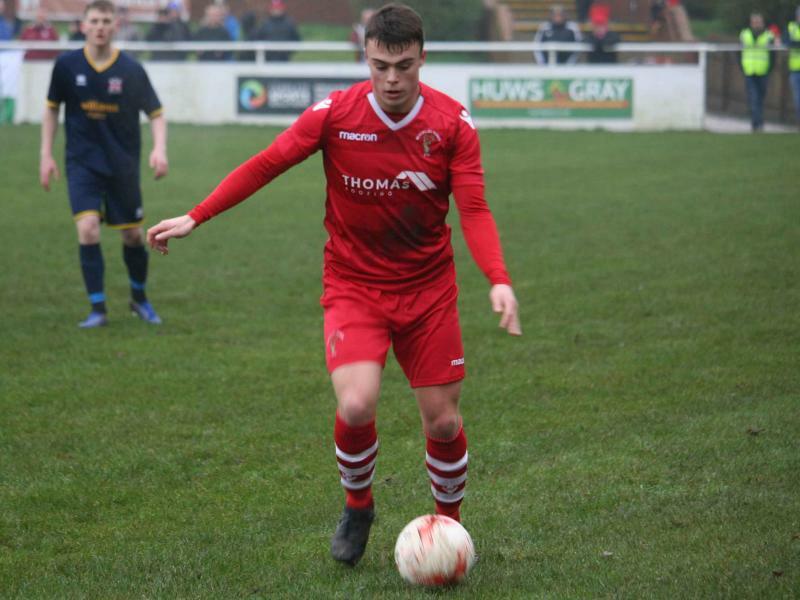 Down to ten was always going to leave Prestatyn vulnerable as Buckley began the task of getting them selves back into the game following the break. 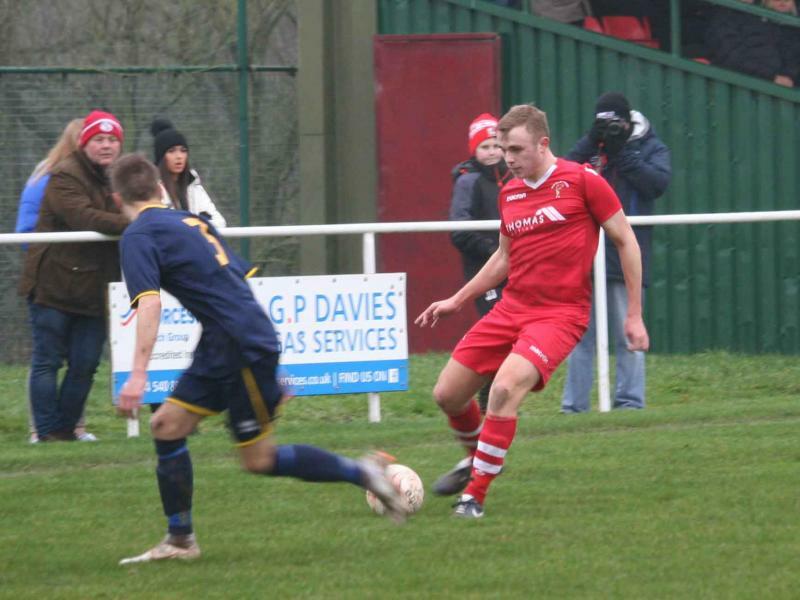 Prestatyn defended as best they could but on a heavy pitch they were always going to tire. 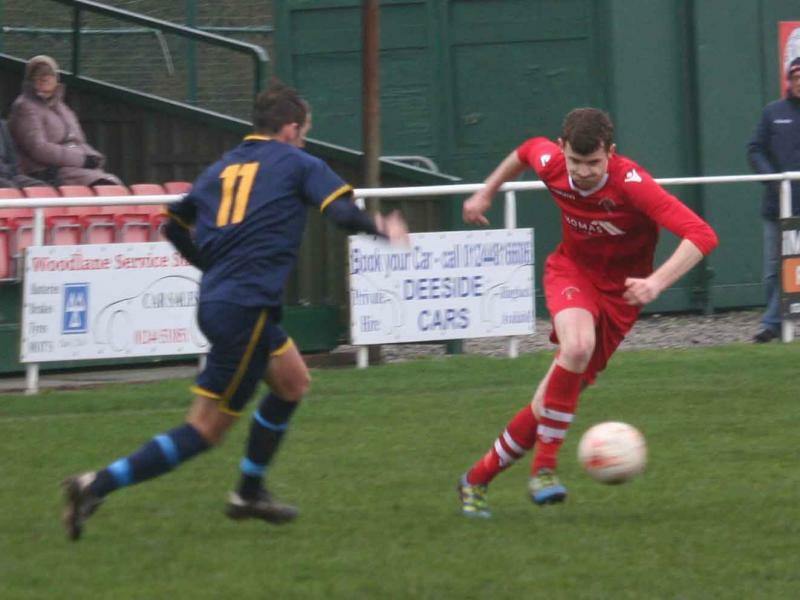 As the foul count and Buckley Town’s pressure began to increase so did their chances of levelling the game. Prestatyn’s keeper did his best to hold Buckley at bay with some fine saves but in the end the pressure eventually told when Buckley forced a corner out on the left. Aled Bellis fired the ball in and for second time this season Chris Roberts powered the ball home with a fine header (see game video). 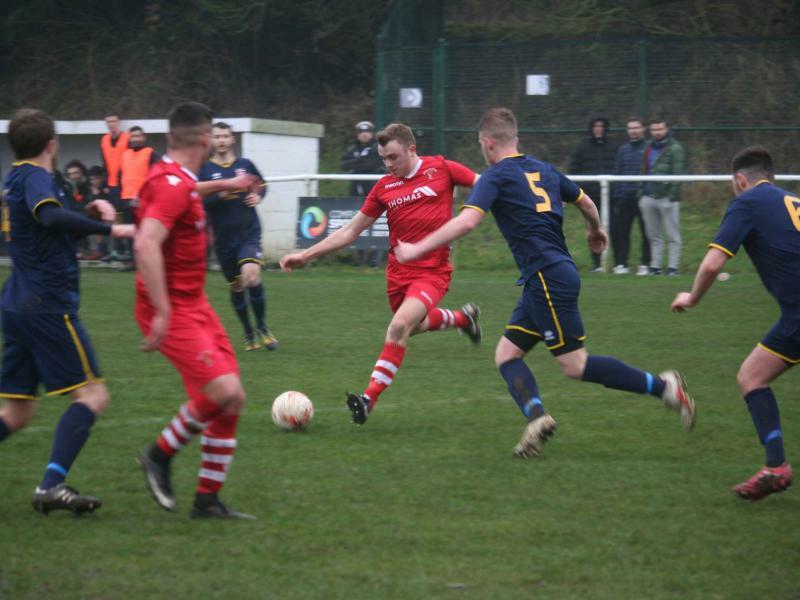 With substitutions made, Buckley then went looking for the winner and it was not long before Jake Roberts broke through the offside trap and as he bared down on the Prestatyn box he sublimely chipped the oncoming keeper to make it 3-2. 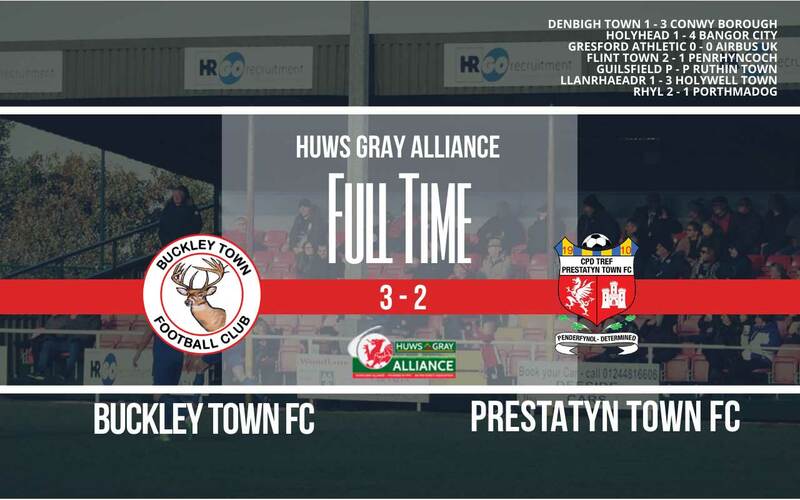 Prestatyn tried their best to get back into it and came very close with a well taken shot that bounced back off the Buckley post late on in the game but it was Buckley Town that came out victorious and delivered their first double of the season to take all three points. 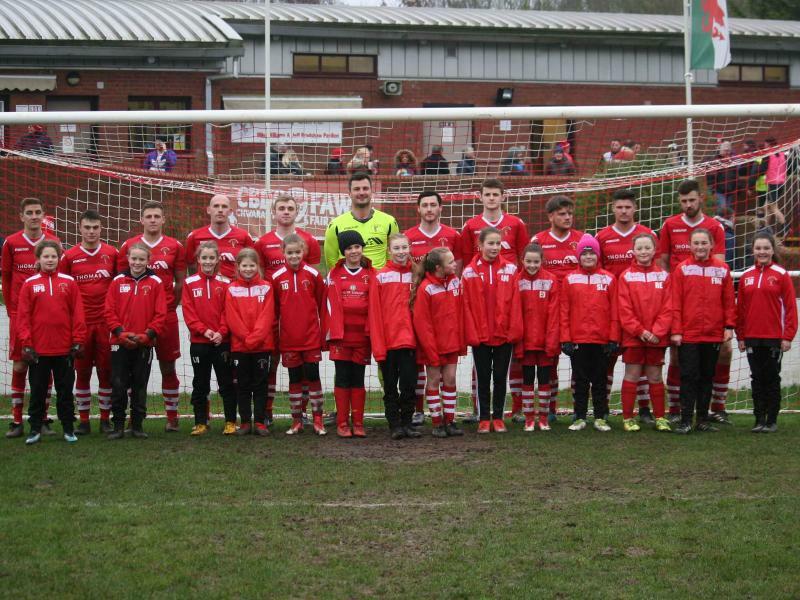 A determined and pleasing effort by the Buckley Town players in seeing out the game, something they were so close to last week. 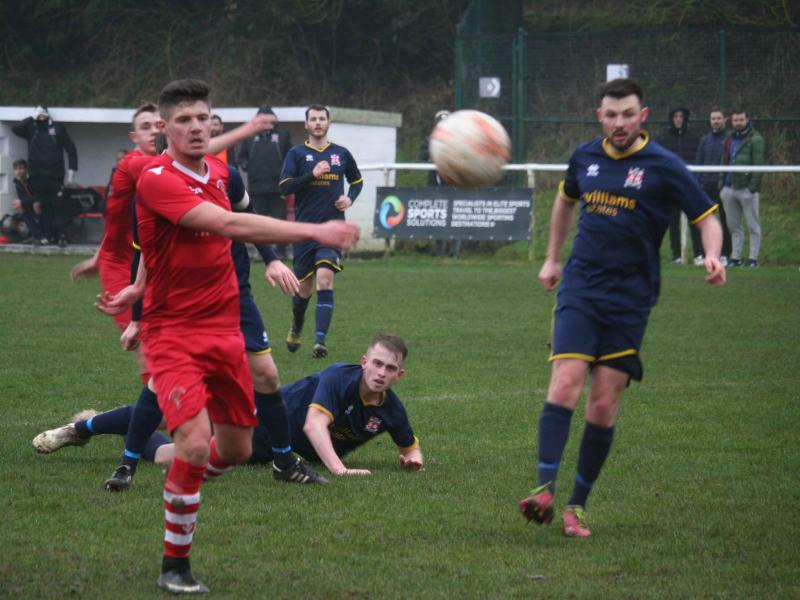 They now go into a difficult away trip to Porthmadog next week whose season seems to have stalled somewhat recently having had the same record as Buckley over the last five with one win, two draws and two losses. Both sides will be looking for three points as they go into the final third of the season. 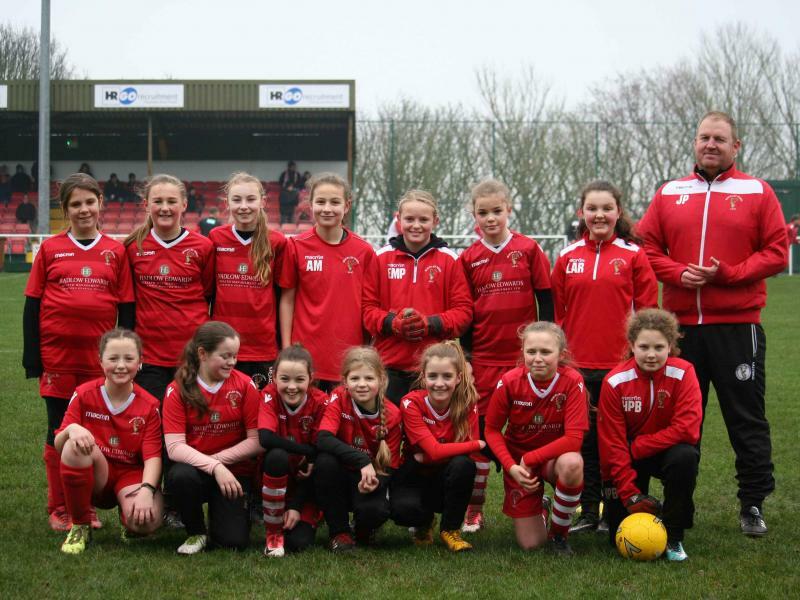 This entry was posted in Club, Featured, Huws Gray Alliance, Latest News, League. Bookmark the permalink.